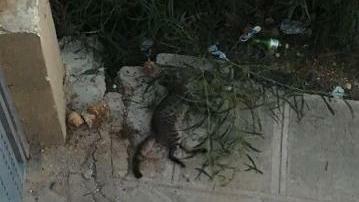 The Animal Defence League is offering a reward for anyone whose information leads to the Għajn Tuffieħa cat killing case being solved. The reward currently stands at €500 but it could increase as more pledges towards it are received. The Animal Defence League said in a statement on Monday that during a meeting with the Police Commissioner last Friday, it resulted that no official report had been made to the Police about the case of the alleged killing of a cat at an establishment in Għajn Tuffieħa. It later clarified, following questions by Times of Malta, that the police investigations were ongoing and that these were based on a police report filed by the restaurant owner. The cat was allegedly killed after it went begging for food from customers who were dining at a restaurant on Sunday August 12. While the police obtained the different versions of what happened from various people, it said that at no point was an official police report filed by any witnesses. The Animal Defence League has appealed to whoever has any information, even if they have already spoken to the police, to contact the League immediately to be given absolute assistance at every stage of the case. League members together with their legal representative have offered to accompany individuals while a police report is being made. The public is being urged to contact the League on 7755 0550 or by e-mail on adlmaltaeu@gmail.com or through their Facebook page Animal Legal Defence Team.